It’s impossible to pick the best time of year in Whistler. From the first snow in late fall to enjoying all that nature has to offer in the summer; Whistler truly is a magical place all year round. That said, one of my favourite and most anticipated events is Cornucopia, happening November 8 – 18, 2018. Why? Well, if food, drink, local celebrity chefs, and signature parties aren’t enough, then the perfect fall weather, gorgeous scenery and luxurious accommodations should make any person put this event at the top of their list. However, spending a long weekend enjoying one of the finest events in the province shouldn’t be undertaken without an experienced guide at your side. So, I gladly accepted an invitation from the Whistler Insider to share my tips for getting the most out of Cornucopia by showcasing my picks when I head up for the first weekend of the festival – though you should note it’s an 11-day event! If you think this event is out of your budget, I’ll share some of my favorite ways to navigate this magical event without missing a thing, including ideas on how to save and where to splurge. What do you say we get started? There are no shortages in means of transportation. As for me, I’ll handle the quick drive from Vancouver. 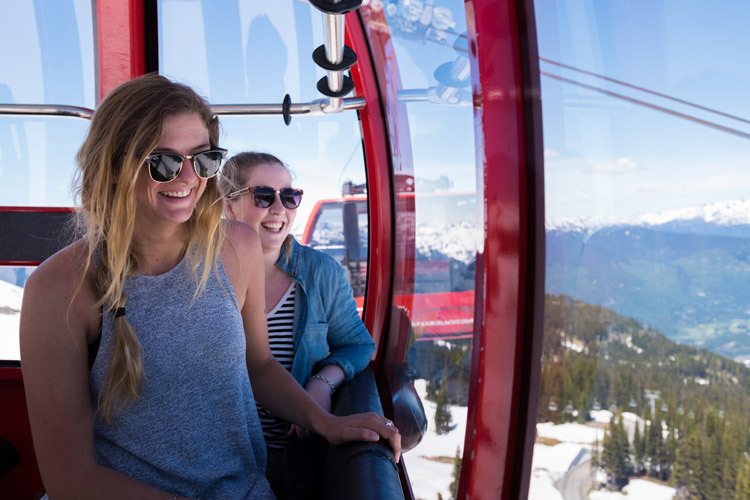 If you want to save, there are shuttles from Vancouver International Airport, and downtown Vancouver to Whistler starting at $20. If you’re wanting to go all out with a bunch of friends, then flying is the way to go. Heli-charters are available from Vancouver Airport and can hold five people. 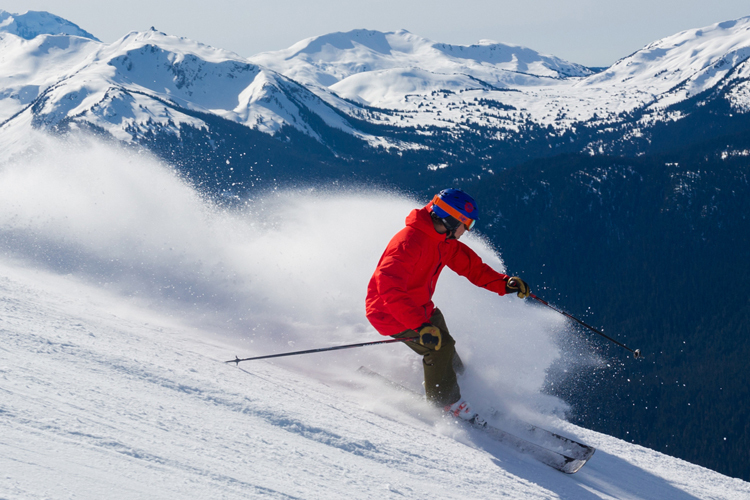 The quick 30-minute ride will take your breath away hovering over BC’s best mountains. Another more up-scale option is the rental of a luxury SUV or limo so you can arrive in style. 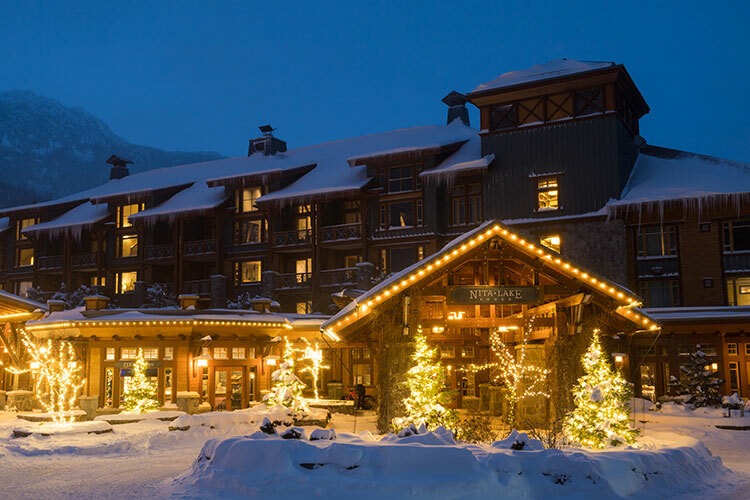 Where to Splurge: Whistler has a wide range of luxurious hotels and this is certainly where I enjoy spending my money. Nestled on a gorgeous lake, Nita Lake Lodge is slightly away from the Village, but its free shuttle service will make sure you don’t miss a beat. It has an authentic, mountain feel and oversized rooms. Nita Lake Lodge also offers a full service spa and restaurant for any needed down time between events. Where to Save: If you’re inclined to splurge elsewhere at Cornucopia, then have no fear. There are plenty of accommodation options to fit any budget with packages starting at $70 that include accommodation and signature event tickets (like Crush and Cellar Door on the first weekend during the festival and Poured on the second). Mid-week is also the way to go if you’re looking for a great deal on where you’re staying. Where to Splurge: Brunch in Whistler has to be one of my favourite activities (especially if bubbles are involved). Not only is there an endless selection of food and drink, brunch is a great way to meet new people while starting the day sipping on the good stuff. That’s why I decided to get a ticket to the Fairmont Chateau Whistler Bubbles & Brunch event on Sunday, November 11. This has to be brunch heaven. Delectable breakfast and lunch items including Belgian waffles, made-to-order omelettes, fresh seafood and, you guessed it, a wide variety of mimosas. And while the price tag is little higher than some other brunch spots in Whistler, the food and fun at the Fairmont are absolutely splurge-worthy. 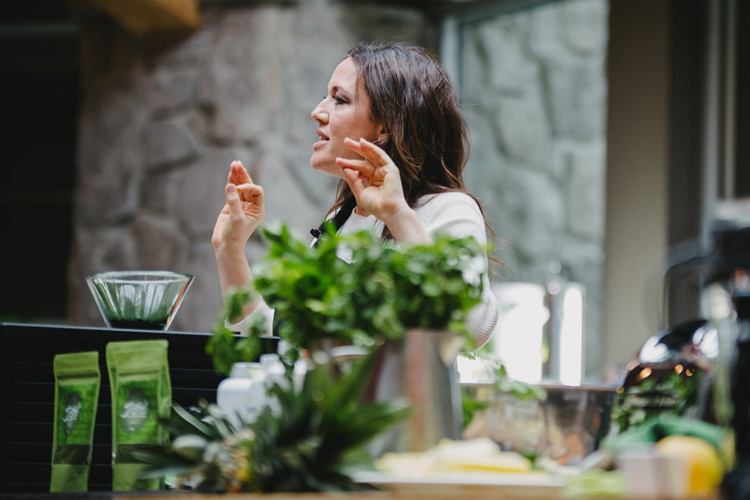 Where to Learn: On Saturday morning world-renowned chef Wolfgang Sterr will be showcasing tasty plant-based recipes at the Whistler Conference Centre. This is part of the Nourish event series, which isn’t just about eating but also about learning more about the ingredients themselves and how they work together to provide delectable flavour and healthy nutritional value. The Nourish events are a great experience for both foodies and the food-curious alike. Where to Save: If you can’t make it to the Bubbles and Brunch event then check out Green Moustache Organic Cafe. Located on Main Street, in Whistler’s Marketplace, the Green Moustache offers 100% organic, plant-based food for breakfast and lunch at an affordable price. My favourite breakfast item: Banana buckwheat waffles topped with caramel cashew cream and figs. Where to Save: As a chef and “foodie”, I enjoy Cornucopia’s fine selection of culinary delights above all else. Nowhere is that on display more than at the Culinary Stage. 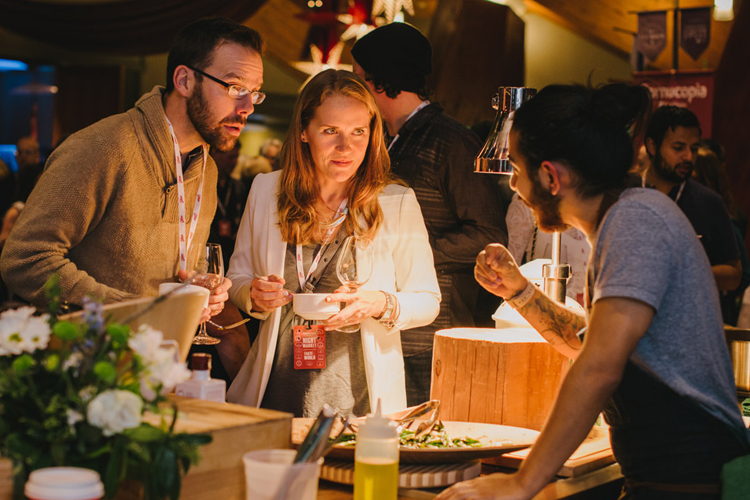 These sessions are all about experiencing delicious food and something new from world-renowned chefs. As for me, I’m looking forward to The London Chef as part of the Culinary Stage series on Saturday, November 10. My advice is to plan ahead as tickets get snagged up fast. The chef-based Culinary Stage events are all $42, which is a steal given that you get food, wine, and copious inspiration. Where to Splurge: The Chef’s Table Luncheons are quickly selling out and I can see why. You’re whisked away to a private house in Whistler, where a chef is busy preparing an intimate lunch paired with a winery. The whole idea is that you get to spend time with other food and drink lovers who want to chat about what’s happening on their plates while engaging with the chef and sommelier. Sunday morning, I’ll be attending the Chef’s Table Luncheon with Wildebeest (now sold out I’m afraid). Where to Learn: After my Wildebeest lunch I’ll be stepping outside of my comfort zone by taking a seminar aptly titled “You Love Gin, You Just Don’t Know It Yet.” And while that is true – gin has never been my favourite – I’ve been promised that this event will change the mind of even the most skeptical attendee. Where to Save: Thursday Night brings one of Cornucopias’ signature events; House Party; Best of BC. This sell-out party is a perfect way to kick off the weekend. 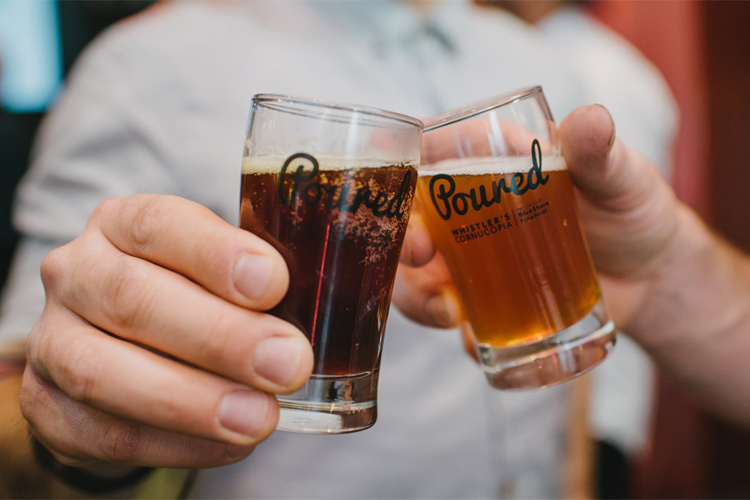 At just $52.00 a ticket, it’s a steal of an event that combines the best of local food, wine and beer in a ‘Whistler casual’ setting. Where to Save and Splurge: Although this sounds like an oxymoron, the Cellar Door Grand Tasting event showcases some of the very best of BC wine and bubbles, so in terms of value you’re definitely saving, even with the ticket price being a touch higher than other weekend events on offer. On Friday, they’ll be uncorking some of the best bottles of fine wine and champagne in the cellar from 8 to 11 PM for those looking to start the weekend off right. A ticket to the Crush Grand Tasting on the Saturday night is also a value-packed option as there are over 75 wineries pouring. If this sounds a little daunting, I’d suggest opting for the sommelier tour so that you know where to start! Where to Splurge: Whistler’s restaurants pull out all the stops over this time period and there are some incredible Winemaker Dinners to attend at the Fairmont, Four Seasons, Il Caminetto, and Araxi – just to mention a few. 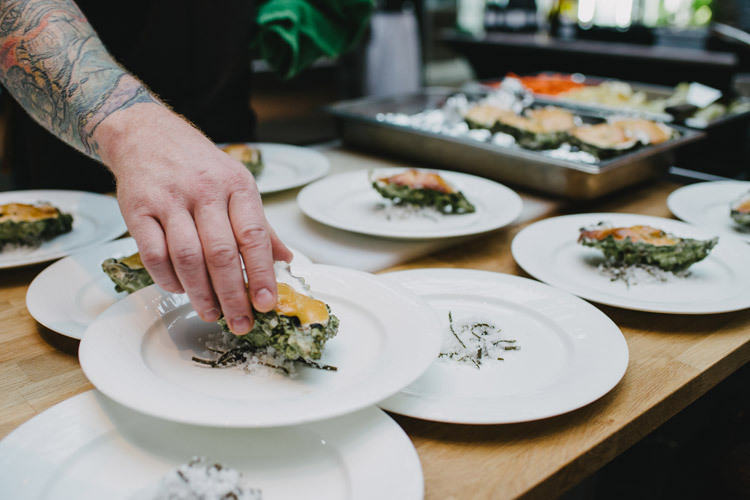 However, I’m opting for the six-course Sip & Savour Winemaker Dinner at Aura showcasing fresh and locally-sourced ingredients from Chef James Olberg, paired with wines from 50th Parallel Estate located in the Okanagan. Where to Learn: Being born on Vancouver Island, this event steals my heart. Cornucopia features “Land Ho! Discovering Island Wines” featuring some of the amazing vineyards in and around Vancouver Island. While BC itself has a great reputation among those who love wine (ahem, me), Vancouver Island has played a big role in developing that reputation. This event promises to tantalize with some new and not always as well-known wineries showcasing their best! Whistler truly is a magical place, and nowhere is that more on display than during Cornucopia. While the recommendations above admittedly reflect my love of great food and drink, the truth is that the entire Cornucopia festival and Whistler itself are perfect for a great getaway regardless of your tastes or interests. From a romantic vacay for two, to some time with family and friends, you’d be hard-pressed to find a better way to spend a fall escape. I hope the suggestions above set you on the right path, but even more I hope you take advantage of one of the premier events in all of British Columbia. I look forward to seeing you at Cornucopia! If this write-up has left you drooling a bit, then check out our eight Insider Guides to Cornucopia and our What’s New and Hot blog – bon appétit! Growing up, Thea was blessed with the chance to travel around the world and encountered a variety of amazing foods and cultures. Thea's fierce optimism and flavourful talent landed her the "Top 2" spot on MasterChef Canada. 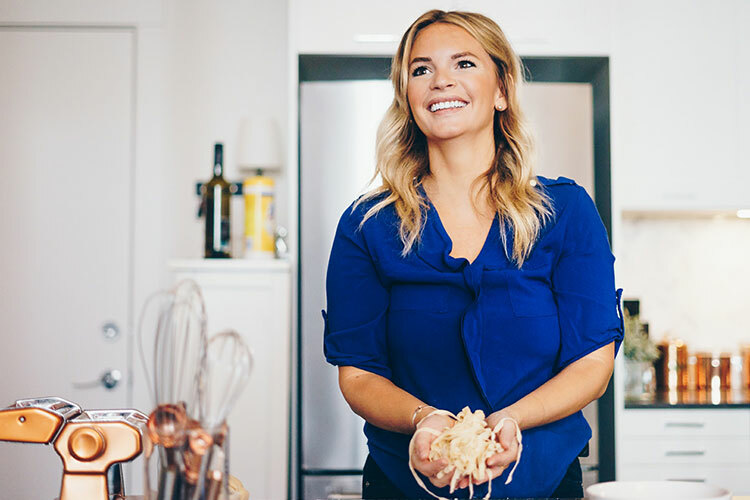 Now living in Vancouver, Thea has since founded her company Theasty and is a regular TV contributor for food and lifestyle. Whistler is her favourite summer escape from the city and she loves that you can make your time here luxurious, adventurous or chilled out.